Last week, I was offered a Cotton On voucher to go shopping at the Uni Hill Factory Outlets. Not one to pass on a shopping experience, I gladly accepted, and on Saturday, J and I made our merry way down to Bundoora to check the mall out. First thing I have to say - I had no idea the trip was going to be so long! I completely ignored the fact that the complex was on the very end of the tram line I was taking (my stop was at the very start of the tram line). All in all, it took us about an hour and a half to get there on the 86 tram from Harbourtown. Eep! Once we got there, we made a beeline for the food court. They had some cafes lining the outside of the mall, which was split into two halves, one for a Coles and the other for the factory outlets. It was so beautiful out, and the exterior of the mall was done up so beautifully, with trees lining the walkways and shading the outdoor seating areas, and it had this clean, suburban chill vibe going on. 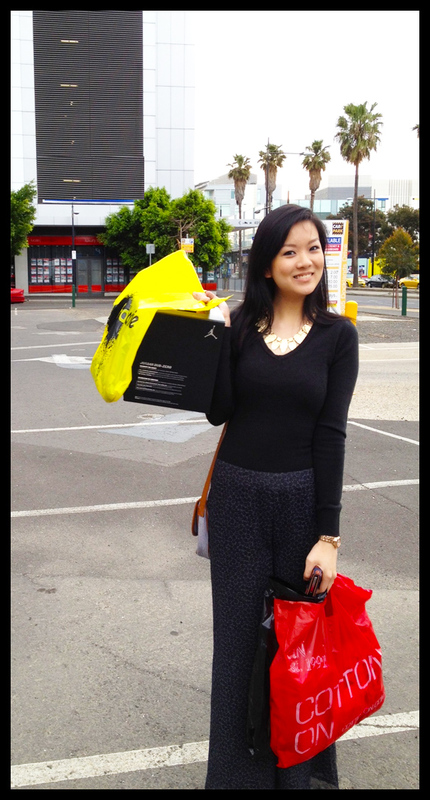 After lunch, we headed to Cotton On to use my voucher and load up on some goodies. I love how HUGE the store was, and it carried everything from Typo stationery to Rubi shoes and Cotton On Body. I got a little bit of everything, actually. You can see the amazingly beautiful shoes I bought here, and I also got some cutesy pyjama shorts, as well as some light pullovers and some gorgeous tops. 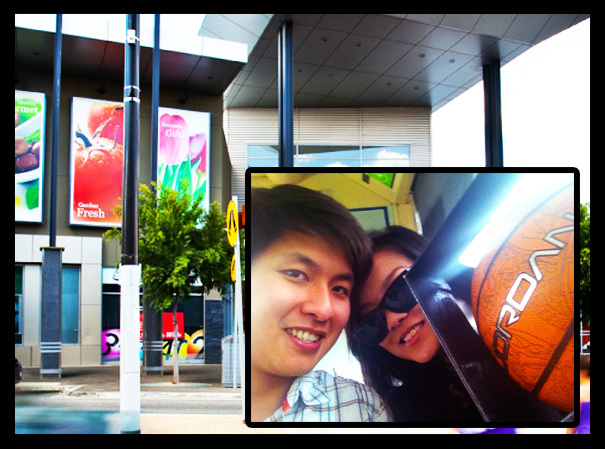 We then headed over to the Nike Factory Outlet - the largest one in Melbourne! This store, plus my awesome Cotton On purchases, made the entire trip! There were shoes listed at insane discounts, more discounted than anything you could purchase online. I found my absolute favourite Nike trainers, selling for only AUD 100!! After visiting a couple of other shops, we headed to Cold Rock for ice cream! You can probably imagine how delighted I was that there was a Cold Rock next to Coles, seeing as how I am obsessed with ice cream and desserts. We had a fabulous time at UHFO. It is so beautiful on the outside, and the stores inside offer so many amazing bargains. I got a couple of other items that I will share with you in upcoming outfit posts, so look out for them. To find out how to get to UHFO and to view event news and promotions, go to their website here. Disclaimer: The Cotton On voucher was provided in exchange for my post on my shopping experience. These are my own, honest opinions.